Anti Fatigue Mats Or Soft Rubber Flooring Really Make A Difference! This past weekend I was helping my Uncle, and by help I mean watch, work on restoring his classic Chevy Step side. This has been his pet project for the better side of a decade and I’ve seen him spend hours just tinkering in his garage. I watch him hunched over his work table screwing, sanding or hammering something then walk to the truck and stand there briefly to measure or tighten something else. At one point he grabbed his back and let out a little moan/growl sound and went about his business. My MatsMatsMats antenna went up and I said “Hey Uncle, you should get longer anti-fatigue mats so it covers your whole work area, not just in front of your table”. And he said he used to have a few but he was constantly tripping over them and he found himself rearranging them so he could throw down tools and heavier parts without damaging them. He obviously didn’t have the right mats. I had a few drinks which is why I wasn’t actually working with tools and almost completely forgot about our SoftRubber tiles. I told him all about how SoftRubber interlocking tiles are the perfect hybrid. They have the anti-fatigue feature which is the most important part, but it also has the durable rubber surface. He could stand, kneel and walk around his entire area with worrying about where to set the heavy parts he keeps pulling off and putting back on the truck. I went on trying to convince him it was time to discard the tripping hazard that is only really helping half the time but he’s stubborn. I’m going to have to just put a floor down for him so he can see. It’s a really easy installation; I could do it in less than an hour. I guess I’m just as stubborn.. must be a family trait. From time to time the conversations in our office can become – somewhat unique. For example; today I was trying to think of what to write about, so I asked my esteemed colleagues Ben and Chris. It began with Chris’ very logical depiction of items that we carry and how we can discuss them in different ways, so on. This was quickly interjected by Ben, with his very humorous and long-winded ideas. If you have read any of his blog – you know what I am talking about. He suggested that if we ourselves were mats, what mats would we be? He insisted that he, himself would be our Anti-Static Smooth Runner Mat; with emphasis on “smooth” if you know what I mean. I have to reluctantly admit, if anyone here is the “smooth” mat, it would be Ben. Just don’t tell him I said that. That will just be between you and I dear reader. After that it kind of did not derail the discussion, as neither Chris nor I could come up with what kind of mat we would be if we have to anthropomorphosis ourselves to one. Needless to say, Ben had many, many reasons why he was so slick that he would undoubtable be the Smooth Tech Runner Anti Static Mat. Needless to say; aside from the very obvious humor we took from this, he had a point. Smooth and anti-static indeed, we had no counterpoint that he could not deflate – thus proving his smooth mat-ness even more. A Kneeling Pad Is Not Only Used When Gardening! A long while ago now; my friends and I all went in on a very nice personal telescope. This is a very serious piece of hardware. Much larger than what you naturally think of when you picture a personal telescope. It weights, easily 120 pounds and takes at least two people to set up properly and safely. Be that as it may; we have used it quite a bit over the years. From taking it to local spots to even taking it with us camping in the mountains. Due to the size of it the aperture (the eye-piece that is) is quite low – maybe two feet from the ground. This can sometimes make it a bit hard – literally to kneel or lay while using it. This is why we started using the kneeling pads and anti-fatigue mats to lay and kneel more comfortably and for a longer period of time while doing our star-gazing. They come in very handy and make it so much better when having to kneel down on rocks or whatever else is along the ground in the deserts or mountains. If you are a fellow amateur astronomer as well, I heavily recommend a kneeling pad and foam fatigue mat. Trust me – your knees and back will thank you for it! 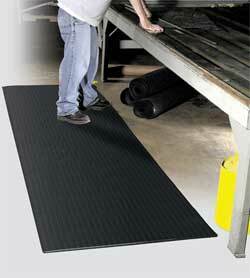 Anti Fatigue Mats Make A Big Difference In The Work Place! 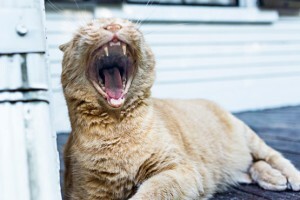 I’ve talked about anti fatigue mats before, but I’m going to talk about them again! 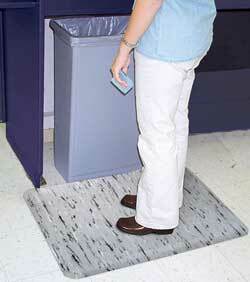 A simple 2’x3’ Anti Fatigue mat can make a huge difference at your business for a few reasons. I’m going to use a restaurant as an example because it’s my only real life experience. I used to roll silverware after a long day of serving tables. It’s part of every servers side work and probably the most hated task. But it has to be done. I can do about 6 rolls every minute. In 30 minutes, that 180 rolls. Multiple that by 20 people (servers and hosts) and you get 3,600 rolls of silverware for one day of food service. Since the managers know each person can do about 180 rolls in thirty minutes, that’s what they expect. After about 5 minutes, or only 30 rolls, my legs start to hurt and I’m bending over to relieve back pain. Shifting my weight only works for so long. Knowing I have to do 180 rolls, I start getting faster and faster. My rolls are getting looser, but I don’t care. MY BACK HURTS! My 180 rolls turn into about 90-120 usable rolls, since a lot of them fall apart and are unusable. This makes for loose, unused silverware falling on the ground and having to be washed. Now the dishwashers have to re-wash unused silverware. That doesn’t seem so bad until you multiply that by 20 people a day. Now your dishwashers are backed up from all the extra silverware and your cookware and plates are piling up. Since there are no plates or the appropriate cookware, your guests are waiting a long time for their food and will probably not come back. 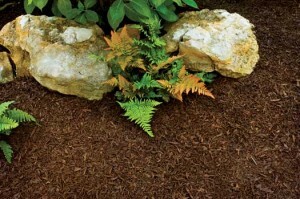 Rubber Mulch For Your Drought Tolerant Landscaping Solution! I would like to take this opportunity to one of the down sides to living in California. The sun is always shining and we don’t have to deal with snow and other extreme weather crippling our lives, but we totally dehydrated! California is in serious manic mode and doing everything we can to conserve water. There are new laws being implemented that limit the frequency and time of day you can water your lawn or garden and I’ve noticed a few business’ removing their grass completely and installing Drought Tolerant Landscaping. I’m sorry to say I’m not very happy with this situation. All “Drought Tolerant Landscaping” looks like dead weeds and rocks. It’s not very appealing and I would put off making that change as long as I could. I was doing a little research and was happy to see my kneeling pad will still get used. There are flowers that can hold up with limited water and I also found out your soil can play a huge part. A drought tolerant garden grows from the ground up, you’re going to want soil that will retain the water and support the plants. That’s the basis to any Drought Tolerant Garden. Grow the soil first because that means plants will need less water and fertilizer. Out here there is a lot of clay in our dirt; a little compost can really help. You want to make sure your soil is soft and will allow water to go deep. Instead of watering every day, practice deep watering only a few times a week. Deep watering will allow the roots to follow the water downward, where it will find natural reservoirs. Lastly, in regards to those hideous rocks, you want to put something down to help keep your dirt moist. On these scalding days, your water can potentially evaporate quickly ultimately wasting it. I’d use something like our rubber mulch instead. The rubber mulch comes in a variety of colors to help keep your garden looking nice and will hold up for many many years while allowing water to get to your soil and not evaporate so fast. Walkway Roof Pads and Their Great Uses! Walkway roof pads for your truck bed! Genius. When I was a kid, I remember my Mom bought herself a Truck- later my dad took it over because it was just too big for my 5’ nothing Mom- anyway, it was a really pretty deep burgundy and so shiny! About a week or so after she got it, my dad equipped the truck with a black bed liner. It protected the bed of the truck and wrapped up to just cover the sides. I hated it. I know it was functional, but realistically it’s not like we were hauling rocks on a daily bases. We put bikes back there, sometimes, and used it for camping gear, like once a year. To me, the truck was ruined. Fast forward 15 years, and I had a customer call for a 4’x8’ piece of rubber flooring for his truck. He said he only uses his truck to move equipment very rarely and didn’t want to ruin the look of his truck with a permanent bed liner. Sir… I couldn’t agree more. He wanted a piece of rubber that would fit nicely, protecting his truck from scratches and that he would be able to remove when he’s finished. Luckily for him, our Walkway Roof Pads come in just the size he needed. The ½” thickness was perfect; It’s dense enough to withstand weight and pressure, but still manageable. When he’s not using it for his truck, a Walkway Roof Pad has a bunch of great uses. If your car leaks oil, you can slip one of these underneath to give your garage a clean look, while hiding the black spots. You could also throw one of these dense pads on the grass or dirt if you have to use a ladder on not so stable ground. Just another example of how our products can really optimize your life. A Good Anti-Fatigue Mat Can Change Your Life! A good anti-fatigue Mat can change your life! I spend at least an hour a day standing in my kitchen, cooking or doing dishes and if I’m having a particularly lazy week sometimes dished can take me an hour all by themselves. Usually as I’m doing dishes I have some stand up comedy playing to distract me from the strain on my lower back and make the task as quick as possible. Recently I wrote about a Marble Fatigue Mat to make your kitchen look nice and help with floor cleanup. What I didn’t mention was the intended benefits of the mat. The other night I was doing my normal cooking and cleaning ritual with my comedy to distract. Before I had time to think about my back pain, I had finished cooking, done the dishes, unloaded the dishwasher, wiped the counters and cleaned the floor- all with no pain. I thought maybe I had built up a tolerance and my pain would no longer be an issue, then it hit me. DUH! I was walking on Anti-Fatigue mats, and guess what? No fatigue! Imagine that? For a lot of people, the pain we feel while standing is annoying but usually tolerable so as soon as we sit, it’s gone and we never think about it again until we’re standing. After I made the decision to get the Marble Fatigue, I don’t put off cleaning and cooking as much as I used to. Now my daily tasks aren’t a strain, and I get so much more done! It’s crazy to think something so small can make such a huge difference in my motivation. Rubber Flooring Reduce Noise Inside The Home! What to do when a pesky landlord decides that despite a security deposit and a contract, he/she just does not feel comfortable with your canine moose on their precious hardwood floor? In L.A., many residents are faced with this dilemma constantly. There are few solutions that are quite as resilient, practical, and cost effective as recycled rubber flooring. While mainly used in kennels and more commercial applications, a 650 square foot apartment can greatly benefit from this as well. A ¼” thick layer of this rubber can serve to greatly reduced noise, protect the hardwood floor from swelling should your pup have an accident while you’re at work or away, and is actually easier on the joints for older dogs. If odor is of great concern, rest assured that proper ventilation should dissipate and outgassing within a week at the most. Since these are recycle tire rubber as opposed to virgin rubber, the harsh “rubber-band” smell is largely reduced through the recycling process. So let’s say you’re the landlord is concerned with scuffing of the floor kind of like the soles of some cheap work boots might. You can tell them to stop being such a baby since this is easily remedied with any cleaning solution. Most importantly, however, you can remind them that this rubber flooring does not scuff or leave marks. Again, since it’s recycled rubber, the bonding agent does not allow the rubber material to leave any significant scuffs or “tire marks” on the floor. Again, anything left is easily remedied with a light cleaning solution or agent. Should any Angelino or resident of major metropolitan areas be faced with this type of situation, remember that there are options for you and your canine buddy! 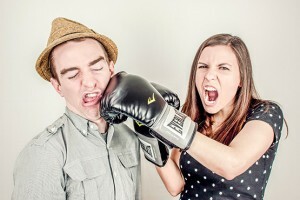 Don’t let the landlord pull the rug from under you! Keep it in place with some rubber flooring! I believe we’re now in the 3rd year of Summer here in California, and it can be miserable. Most everybody from other states I speak to act jealous of my permanent summer, and talk about how I must love it so much. Wrong! I love not dealing with Snow and excessive rain, but excessive sweat can be just as irritating. I will put off getting my mail for days because it’s so hot I don’t want to step foot outside. On top of myself being uncomfortable sometimes, my poor dog is no different. She’s as bad about going outside to do her business as I am about mail. My poor baby will hold it until night to avoid the heat. Being the spoiled Diva she is, she gets to spend all day in a nice air conditioned house and has become accustomed to the comfort. My sisters dogs have a huge yard, which is great for their exercise but she was telling me they spend most their time in the shade of the planters. They then proceed to bring their dust into the house. I told her about my idea to use interlocking rubber floor tiles in the planter, but she didn’t want to spend the time drilling holes for drainage. We decided a drainage mat would be a better fit. The holes are big enough to let sun and water through to the soil, and her dogs can still lie in the shade without getting dirt all over the house. Additionally when she has to stand in her planter to trim roses or pick fruit, she won’t be standing in dirt or mud and now her or her dogs won’t track dirt onto the patio which will save hours of sweeping a month. 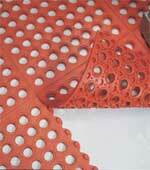 Our Drainage mats come is a variety of sizes, including tiles, and are pretty easy to cut to fit any area you have. 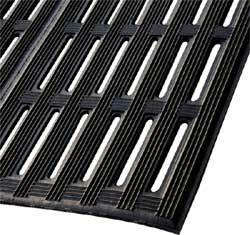 Anti Fatigue Mats And Drainage Mats That Are High Quality and Affordable! I was taking a tour of my friends new restaurant last week and It’s amazing how the right mats can make you so much more efficient. The restaurant isn’t open yet, but we were there for a soft opening and I got to watch all the servers and chefs in action. To give you a better visual, let me talk about my first job as a host. The restaurant I worked at was always busy and I definitely wore more than a host hat, so I was constantly running around. There were drainage mats in the bar area and by the dishwashers, but no other mats in the entire place. You wouldn’t believe how much having to watch where you step slows you down. After a few months of working there I had trained myself to not even pick up my feet in the kitchen; I and the cooks literally slid around because you were less likely to slip. In the server’s station, where if there was down time the host would make salads, I would do a little dance to adjust my legs and move my back and alleviate pain. I was young so I didn’t realize something was wrong and I just adapted. Fast forward to last week and the environment in my friend’s restaurant was like night and day compared to my first experience. The back of the house (or kitchen) had non-slip drainage mats in all the walkways and there were anti fatigue mats in the server station. The servers, who are practically running around the front of the house (or dining area) were able to move into the kitchen at the same pace with no worry about slipping. The anti-fatigue mats around the areas where you’re stationary, like salad prep table or silverware rolling stations do more than help pain. I know, because I’ve been there, that people will put off side work or complete it lazily; therefore lacking in quality because it’s uncomfortable and irritating to stand on your feet especially if you’ve been running around for 4-8 hours. You can bet money that one of the first things I’m going to equip my restaurant with someday is quality mats. Whether you need anti fatigue mats or a drainage mat ours are affordable and high quality, I won’t have to replace them for years and I’ve seen first-hand how they can improve employee productivity and speed.